Among all the players in the Team USA Training pool for the FIBA World Cup 2014 in Spain this coming August, the lime-light is focused on Derrick Rose. The reasons are diverse. It could be that some people wanna see his good old moves, others want to see if he's healthy, and some want to see how his new D-Rose 5 Boost basketball shoes performs on the hard court. 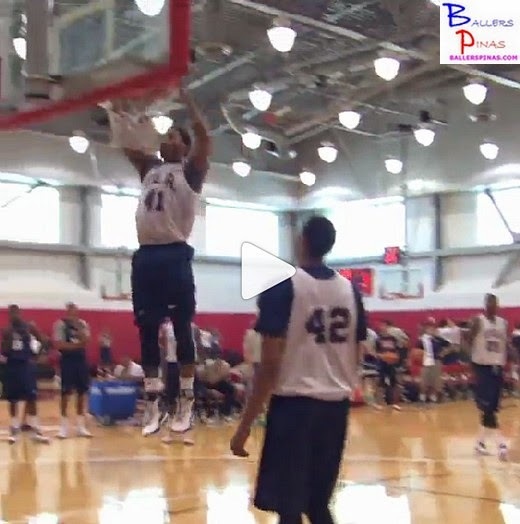 Few hours after the Team USA Practice Day 1, several videos surfaced showing the new Derrick Rose. The videos aren't much, but just seeing him competing is awesome for basketball fans in general and Chicago Bulls fans in particular. As he said in one of the videos, "it's been a long time coming." The possibilities are endless for the Bulls if D-Rose is indeed back to his MVP Form. They could be easily regarded as one of the top contenders in the East especially now that their ace player has reliable teammates around him- Pau Gasol, Butler, Noah and McBuckets. We may remember that when Noah got injured, D-Rose took his team on his back and carry them to a 60-win Season few years ago prior to his injuries. We should expect more out of them as they are now complete and ready to compete. The form and finesse of D-Rose in the videos are nostalgic especially the tomahawk dunk. It reminds me of his statement dunk against Joel Anthony and the Miami Heat few years back. Scary! Videos C/O Ediin Jakupovic and G4NBAVideosHD2.